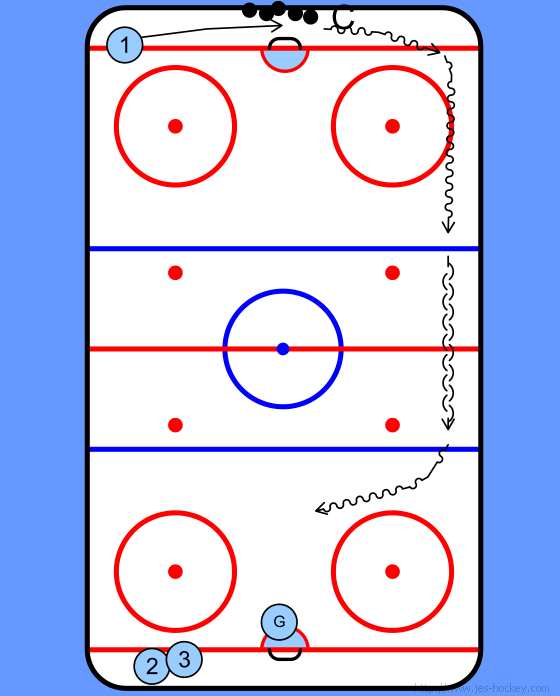 Player 1 skates at speed to blue line, pivots & skates backwards to 2nd blue line. Pivots once again & skates to red line. Coach lays off puck to player who takes it back up the rink. 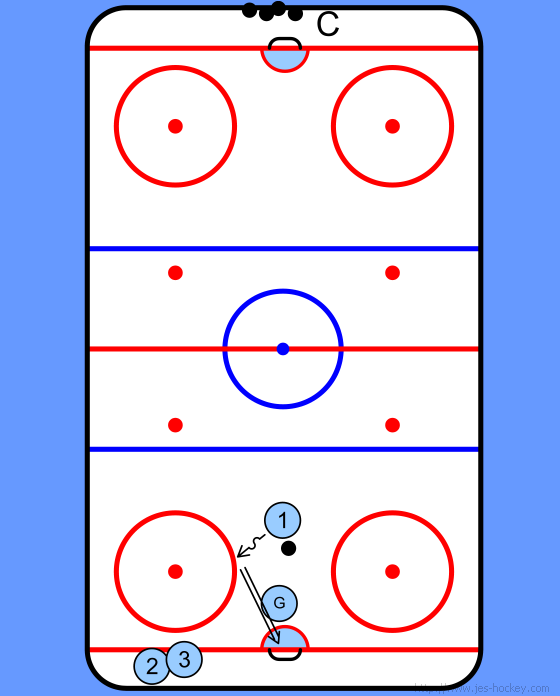 At blue line player 1 pivots & skates backwards with puck. 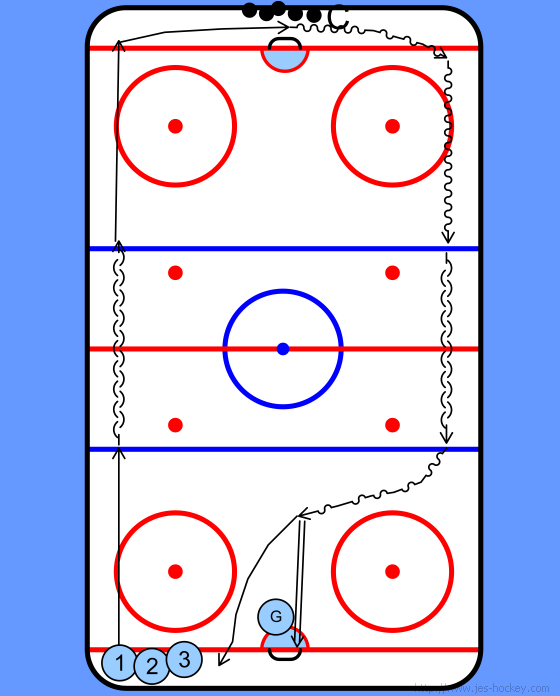 At 2nd blue line, pivots again and skates at goal. 1 on 1 with goalie. Player shoots at goal then joins back of line.